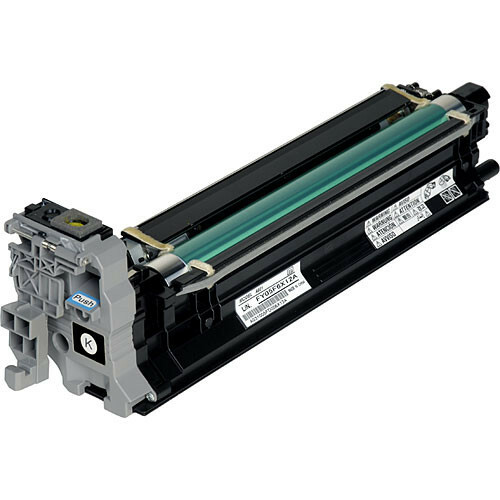 Keep your magicolor printer in tip-top shape with this replacement Black Imaging Unit from Konica Minolta. It features a rated yield of 30,000 pages with 5% coverage. Box Dimensions (LxWxH) 19.65 x 8.05 x 6.65"
Black Imaging Unit for magicolor 4600, 5500, and 5600 Series Printers is rated 4.3 out of 5 by 4. Rated 5 out of 5 by JesseStyle the Graphics Printer from perfect Image Unit this unit is exactly what it needs to be for the Konica machines it is made for. works perfectly. Rated 3 out of 5 by Anonymous from I would buy this product again At this time the unit is working properly. ... We will order additional units shortly.thank you. Rated 5 out of 5 by Robert V. from Can't beat OEM Fits and performs perfectly. Exactly what was required to bring my printer back to life. Rated 4 out of 5 by Anonymous from i would buy again easy to install and working fine. Hello, is this compatible with the Konica 4650dn? Thanks.